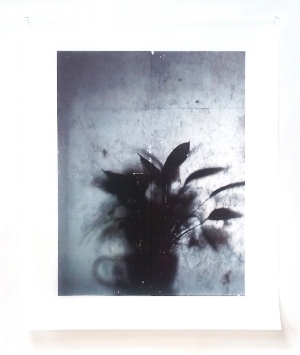 “This series is photography based. 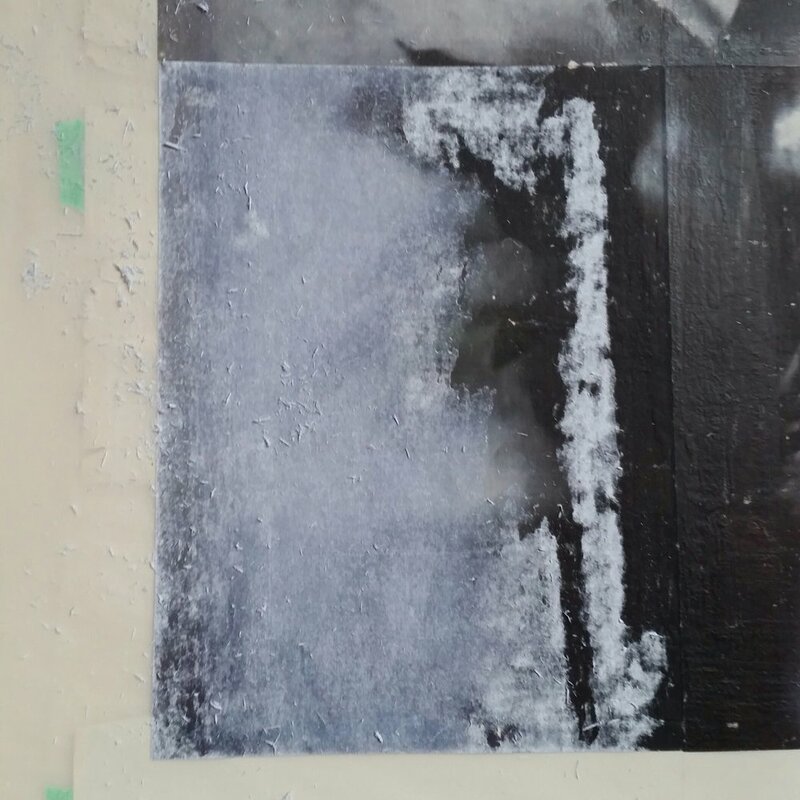 I make monoprints by transferring laser printed photographic images manually to translucent plastic film using an acrylic medium transfer process. The laser toner transfers into the medium on the plastic film. I then carefully peel and rub off the layers of paper. The result is a transparent image on translucent film. The finished piece is 28.5x35.5". Click here to see more from this series.